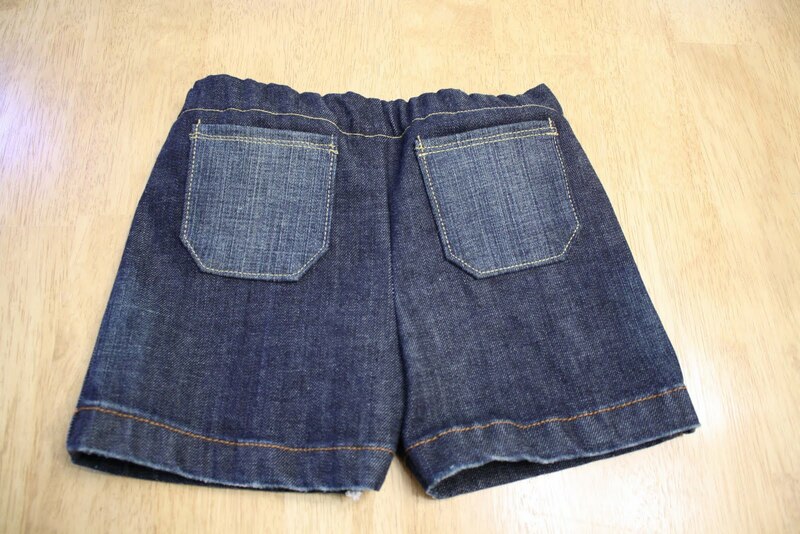 Jeans Cut Off Shorts – 1 pair of Jeans, 2 pairs of shorts! 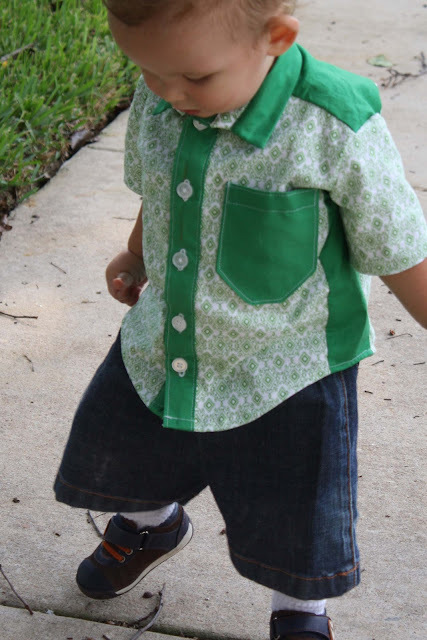 Hey y’all. Today I’m going to show you how to make jeans cut off shorts. 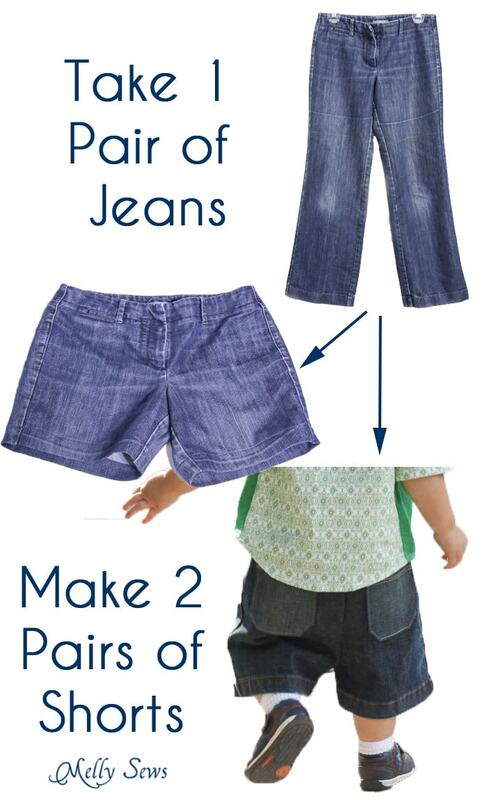 Did you know you can get two pairs of shorts – a mommy pair and a toddler pair – out of the same pair of jeans? 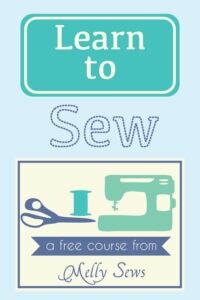 Totally do-able. 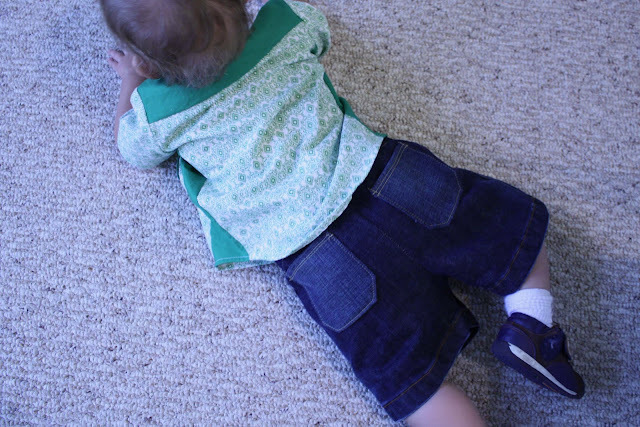 Let’s start with Mommy’s pair. 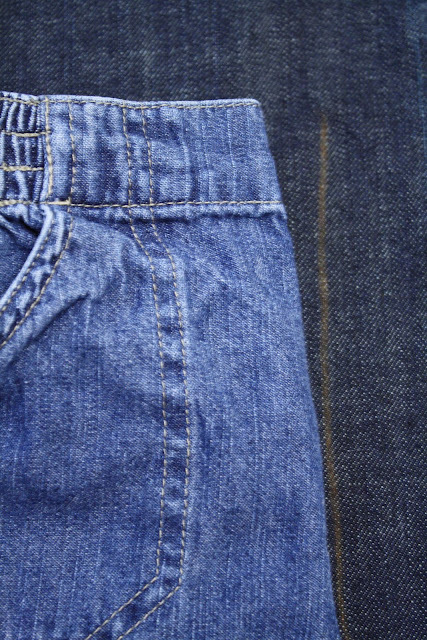 So, start with a pair of jeans. For this particular style, I chose a looser fitting trouser style pair of jeans. 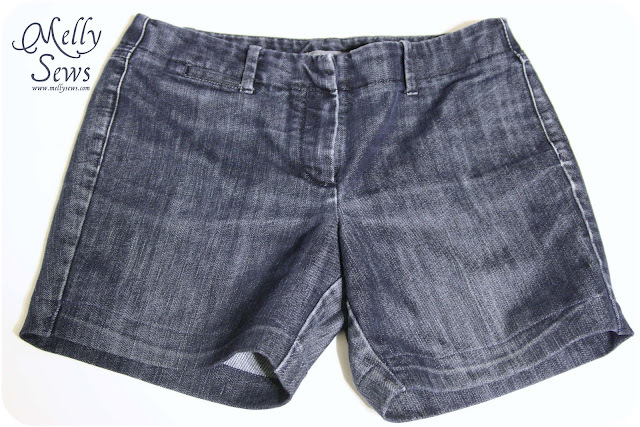 The looser fit through the thighs is important to make sure these don’t end up looking like Daisy Dukes. Try on your pants, and mark where you want the shorts to end. Make a long, straight mark. 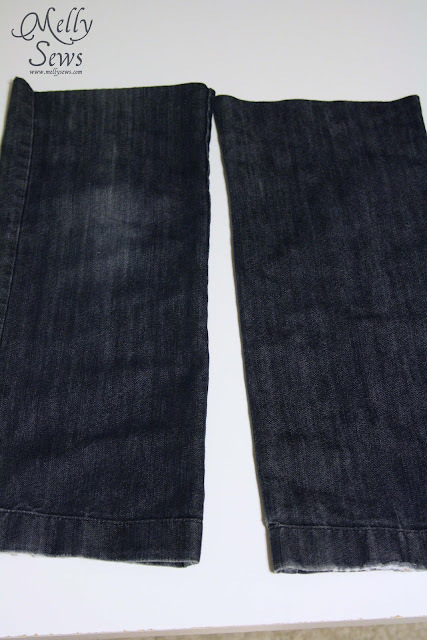 In my case, these pants already had a wear line (from being on a hanger?) right where I wanted them to end, so I used my ruler and made another line 1 1/2 inches below the fade line. 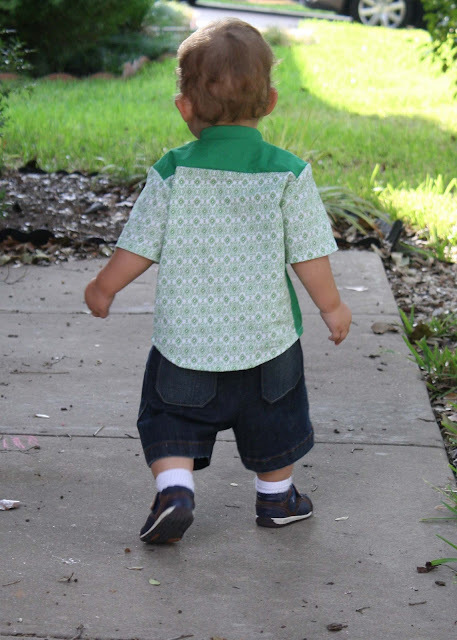 You’ll probably notice that your straight line you made when standing now looks angled. That’s OK, go with it. Cut one leg on the line you drew, then fold in half to cut the other leg. 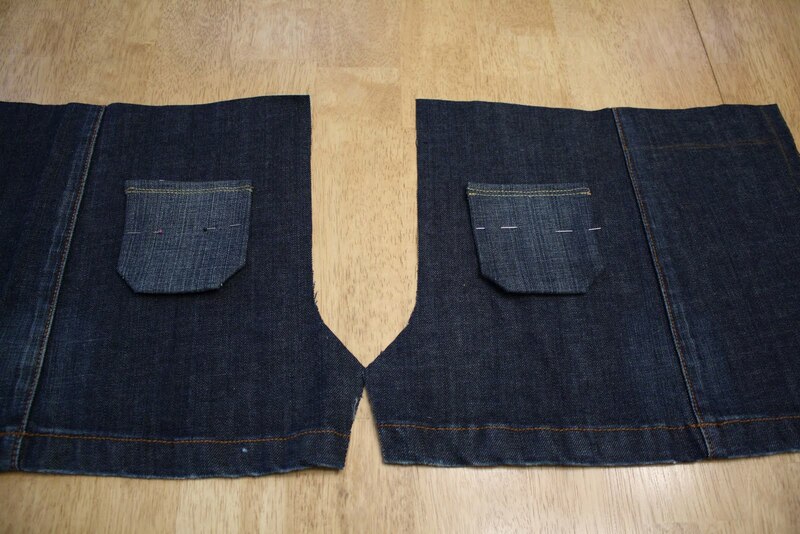 Don’t forget to save those jeans legs to make your second pair. 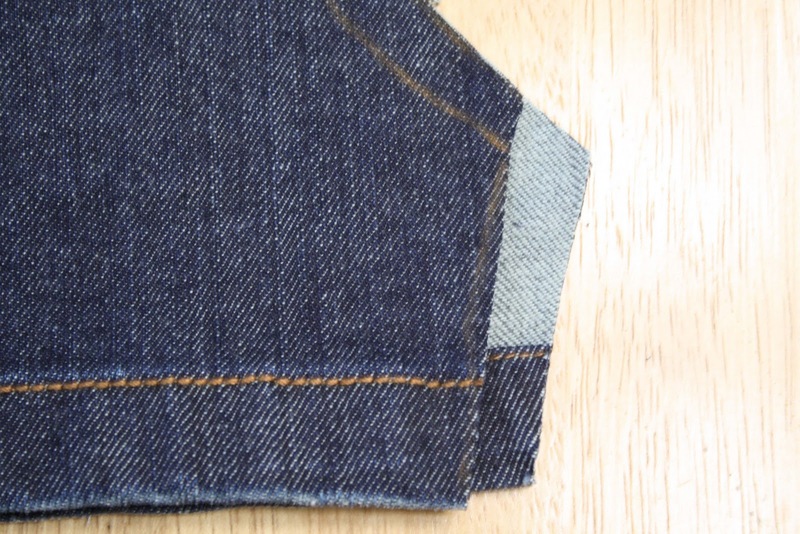 Fold your hems to the inside on your first line. 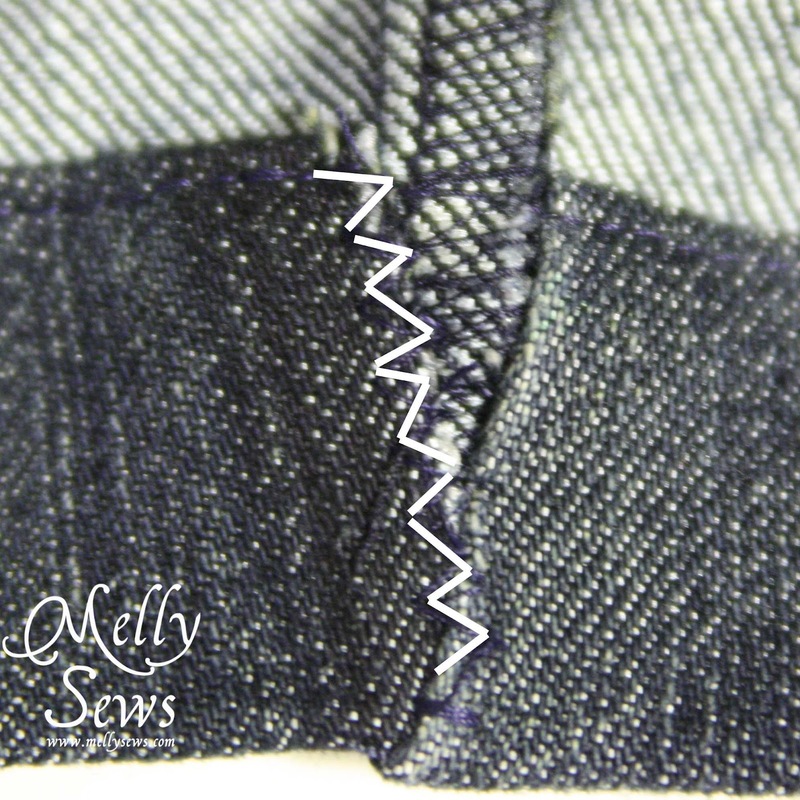 Next, using your seam ripper, open your side seams up to the fold. 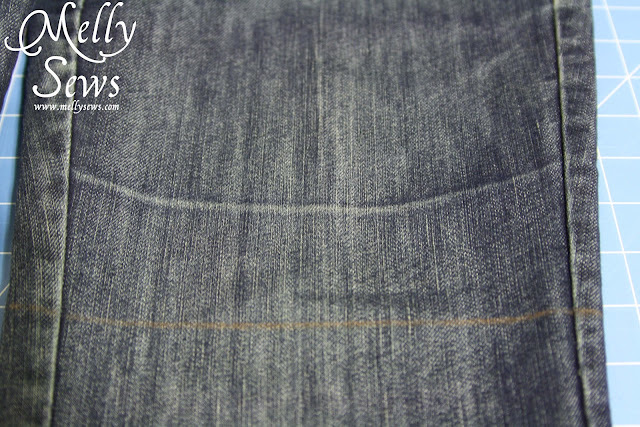 You’re doing this because almost all jeans are tapered in the thigh (even straight leg jeans) so you have to open the seams so the hems will lie flat. 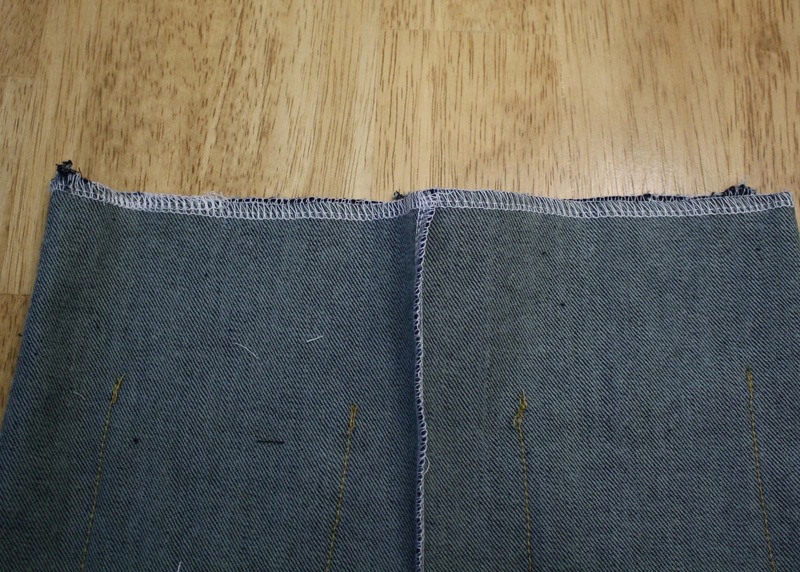 Now pin the hems, leaving the seams wider apart at the top edge of the hem as needed to lie flat. Stitch your hem in place. 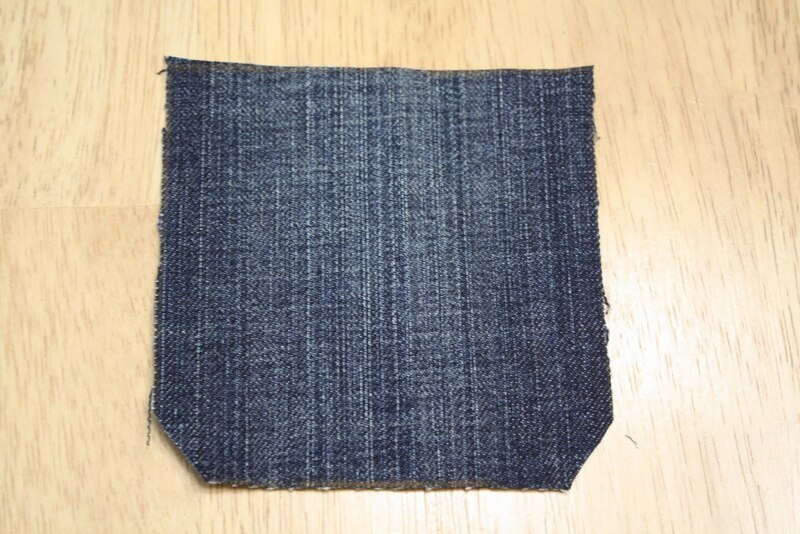 This looks best if you find thread that matches the original thread as closely as you can. 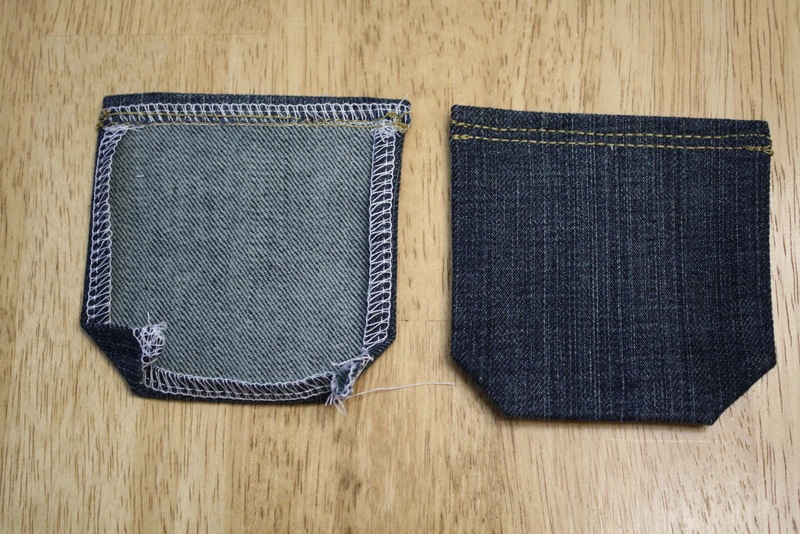 Tip: Upholstery thread is often readily available and looks a lot like the thread used to sew most jeans. This pair was easy because they were sewn with navy blue. Finally, to prevent fraying, you can zig-zag stitch the raw seam edges down. 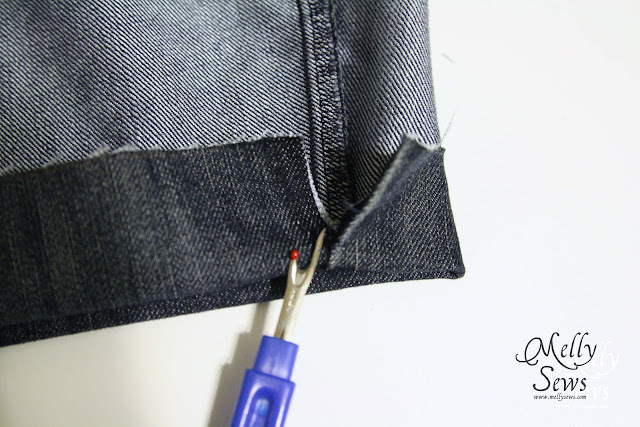 Use a thread that matches the fabric if you do this. 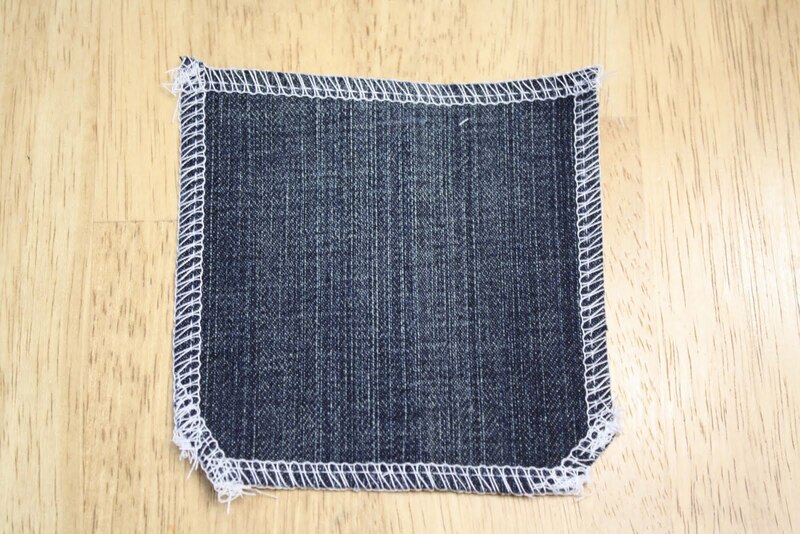 I outlined my zig-zag stitches below so you can see what I mean. And then, enjoy your new shorts – which no one will suspect were once pants. 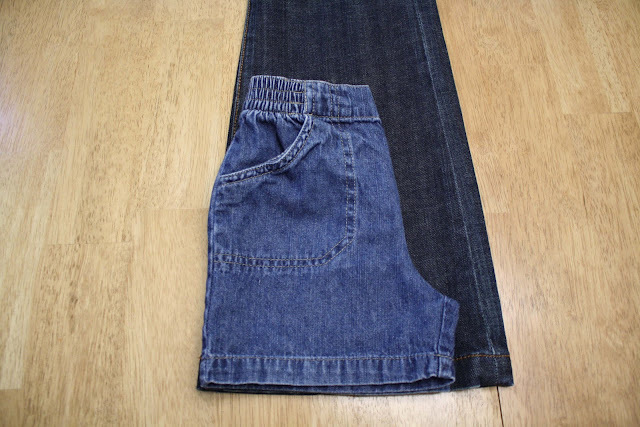 Next, I took a pair of Bean’s shorts that fit him and folded them so I could see just one side and laid them on top of one of the jeans legs. I added 1 1/2″ at the waist and then 1/2″ for seam allowance. I cut this out, leaving the outseam where the pants were sewn together, intact. 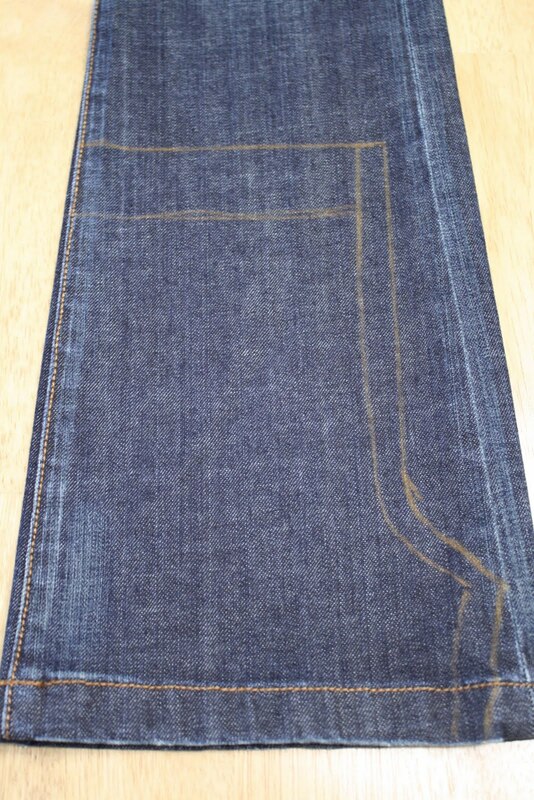 This will become the side seam on my shorts. 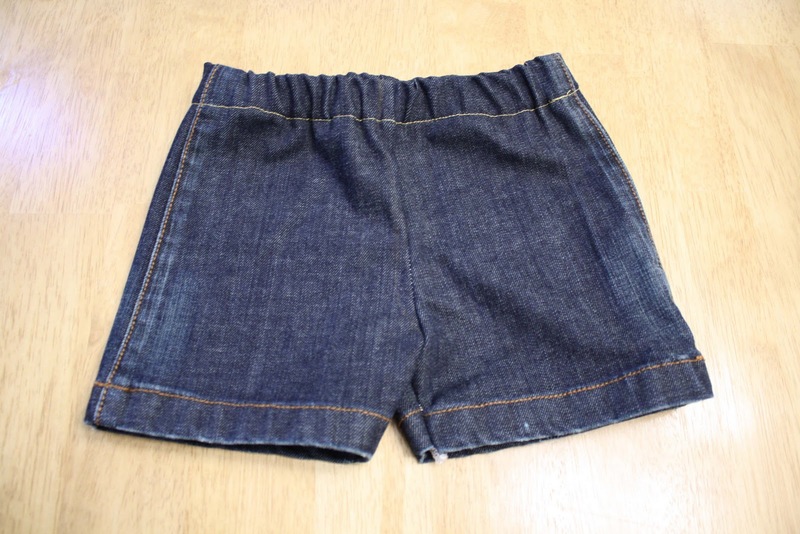 I cut off the seam allowance on the front side of the shorts leg only. 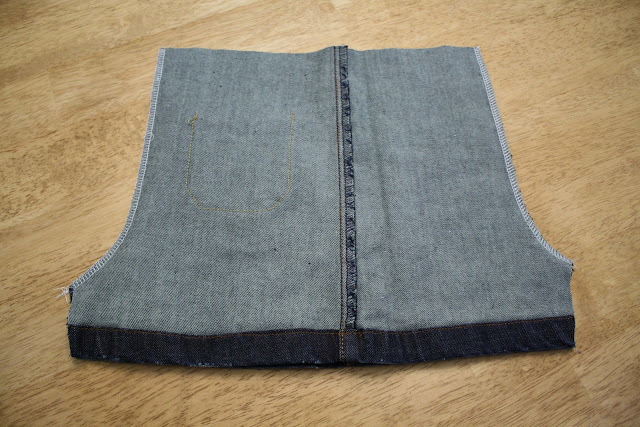 This is because the back seam needs to be longer than the front seam to accommodate a tush. 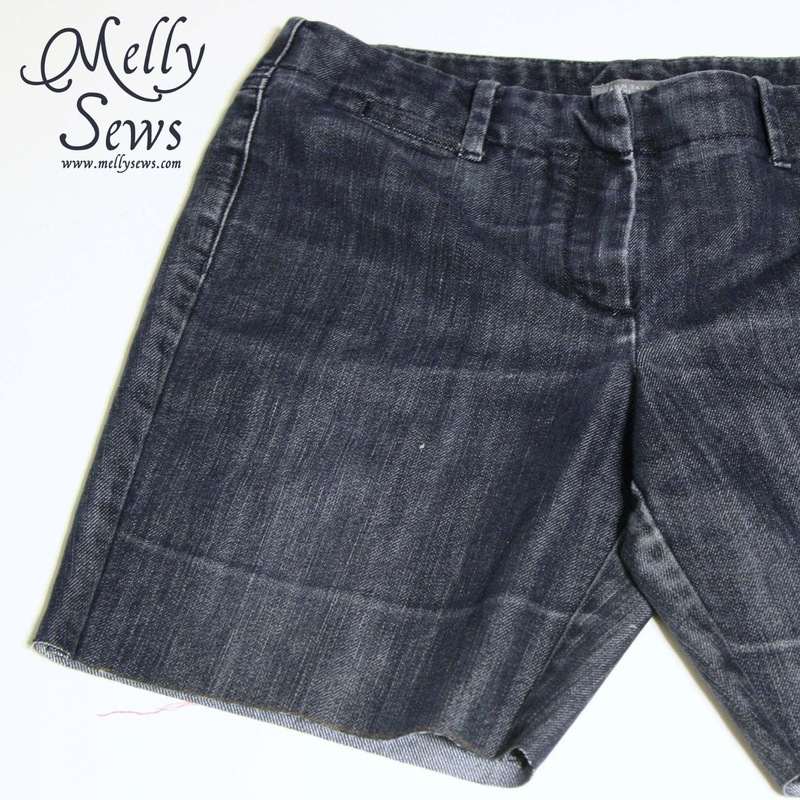 I used this pattern piece flipped over to cut out the other leg for the shorts. 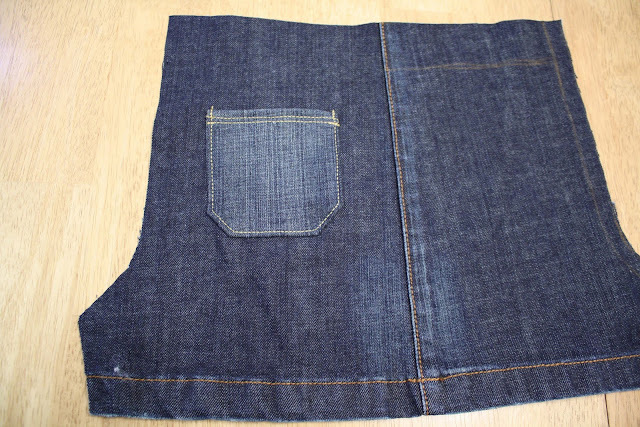 Then I cut out two pockets, just kind of guesstimating based on the pocket on the shorts I was using as a pattern. I serged around the top edge. If you don’t have a serger, fold this over about 1/4″ and press, or finish with bias tape or a faux overlock stitch. 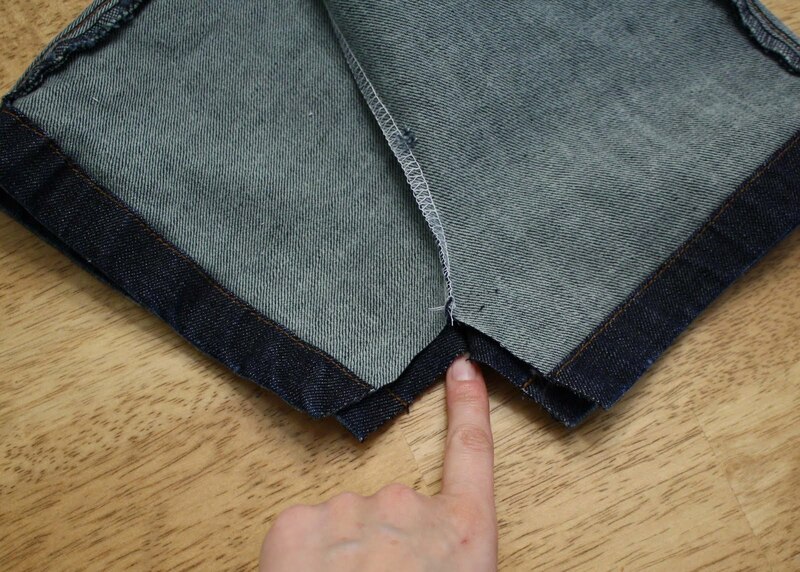 Fold the waistband over 1″ and stitch to form a casing, leaving an opening to insert the elastic. 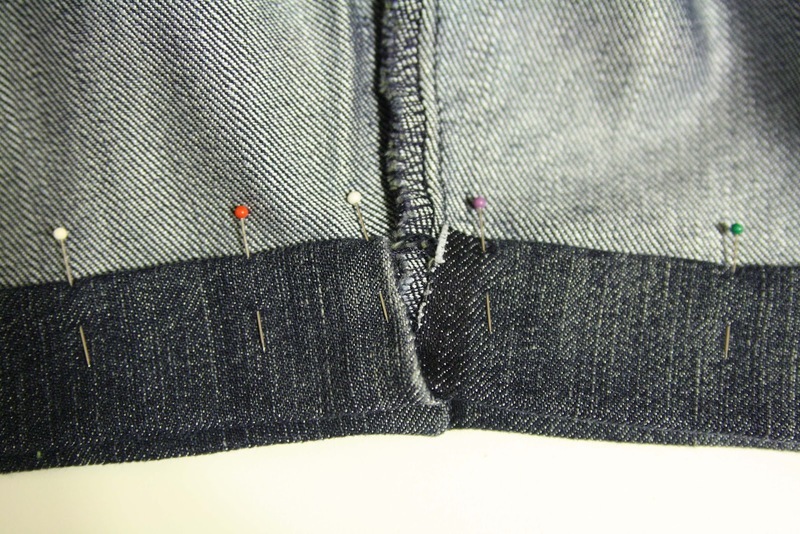 Use a safety pin to insert the elastic, then stitch the ends of the elastic together and sew the casing closed. 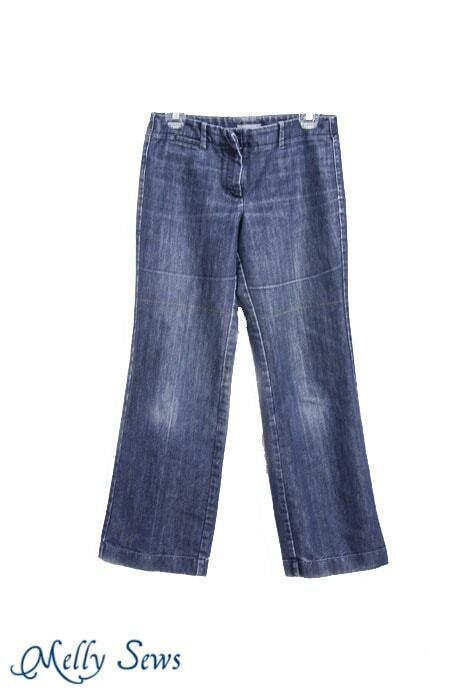 And for $3 I paid for the jeans, both Bean and I got shorts! And is there anything cuter than a toddler tush? 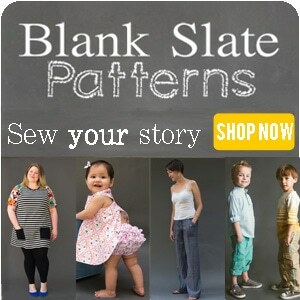 I love your patterns! 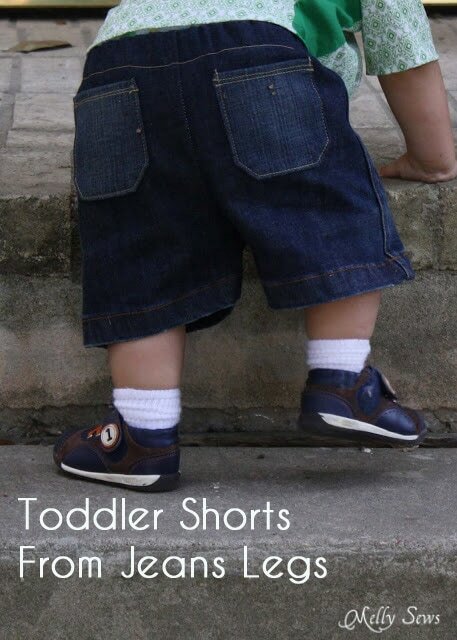 I can’t wait to get to use the toddler’s shorts from mom jeans.